I arrived in Amman late, my flight delayed for six hours by high winds over the Netherlands and missed connections in Germany. Already tired and feeling a bit grumpy after arriving 19 hours after setting off, my mood wasn’t improved by the freezing cold temperatures and pouring rain that greeted me as I walked out of the airport. This changed to a sense of wonderment when, en route to Jordan’s Dead Sea coast, the rain turned first to snow and then to a blizzard. The car headlights cut through the darkness to illuminate snow lying thickly between groves of olive trees, and our speed dropped to a crawl as conditions deteriorated further. I finally arrived at my hotel at 2am. It was raining. 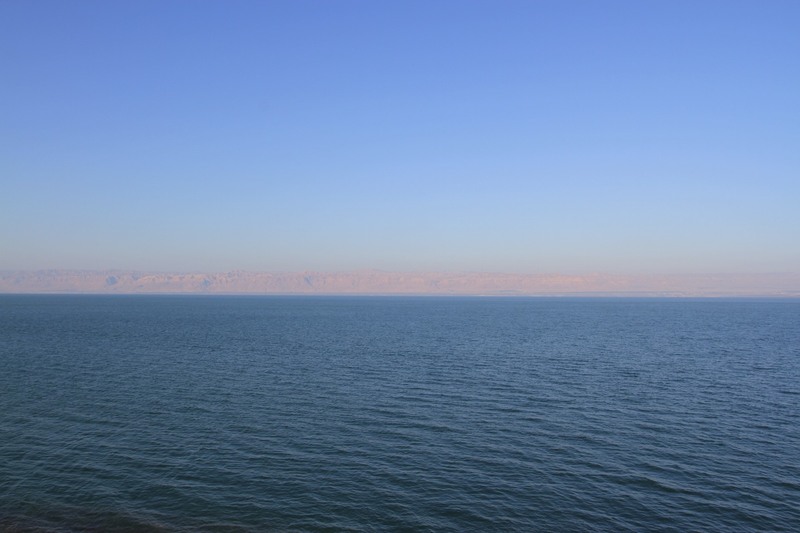 The next day I went to have a peek at the Dead Sea, the Earth’s lowest point on land. No snow here and the rain had given way to blue skies. A haze, caused by the evaporation of water due to a clash between the cold atmosphere and hot sun (according to one of the hotel staff), obscured much of the view from the hotel. I could see Israel and the Palestinian West Bank, but only just. 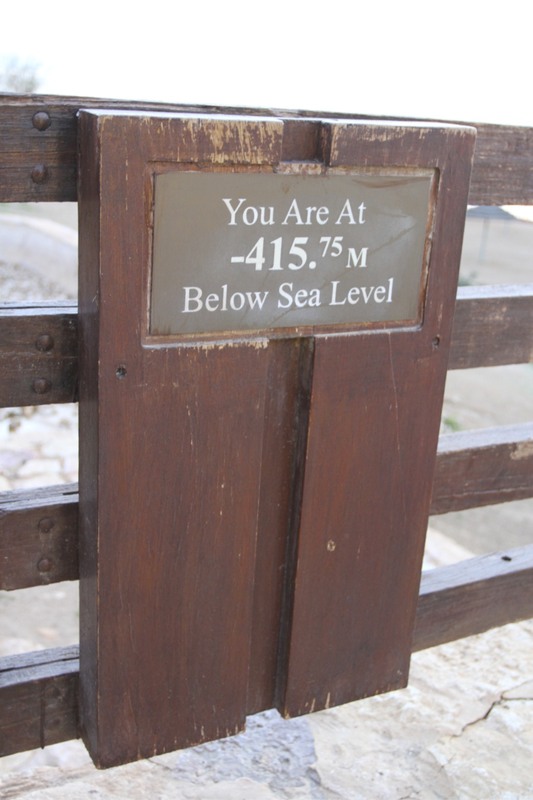 A sign told me that I was 415.75 metres below sea level, but the Dead Sea was some way below the sign. 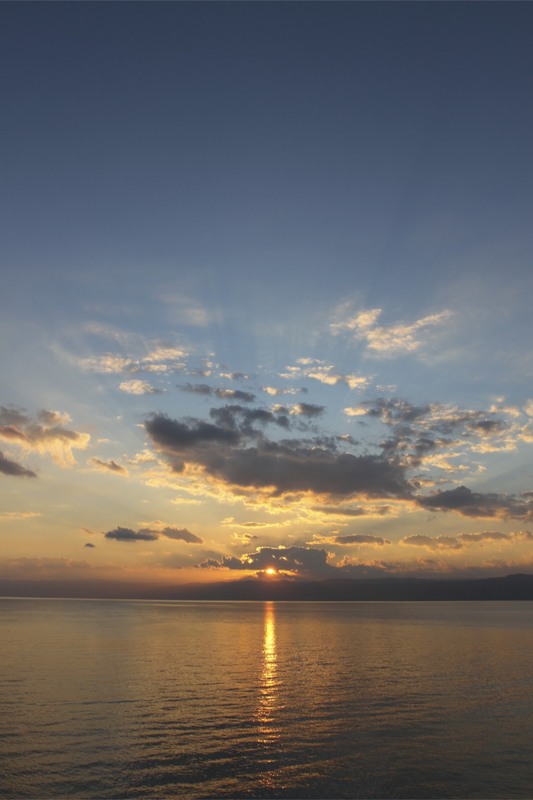 The surface of the Dead Sea is approximately 429 metres below sea level. 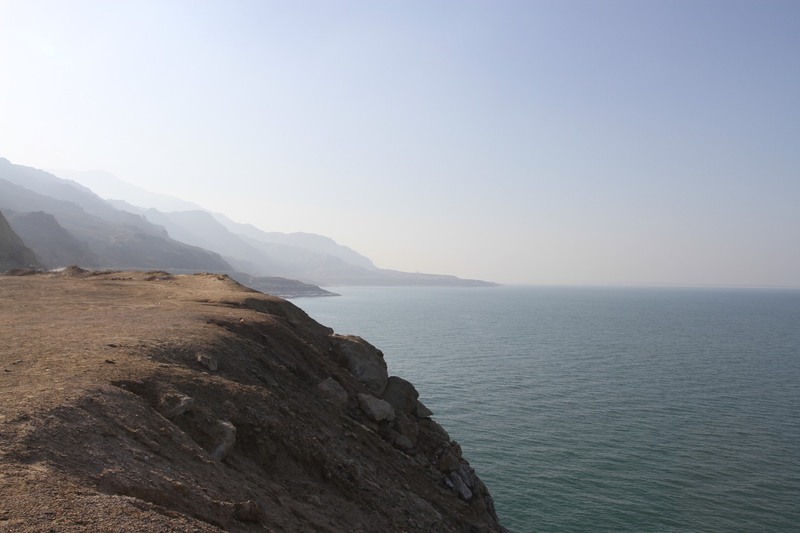 Water levels have been dropping for years thanks to diminishing water flow into the Dead Sea, particularly from the Jordan River, and water extraction from it for industrial use in both Jordan and Israel. The lowest point on earth keeps getting lower. 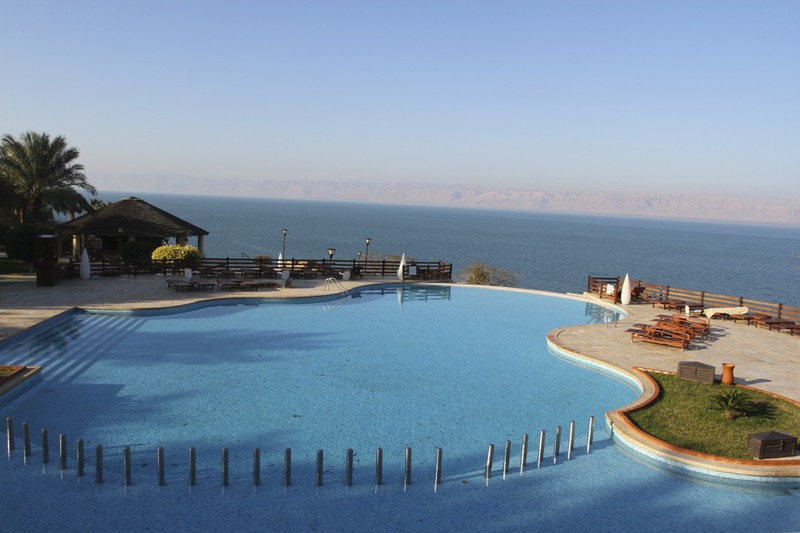 The unique feature of the Dead Sea, really a lake at the end of the Jordan River, is that all the rivers in this region discharge their water into it but no river exits it. 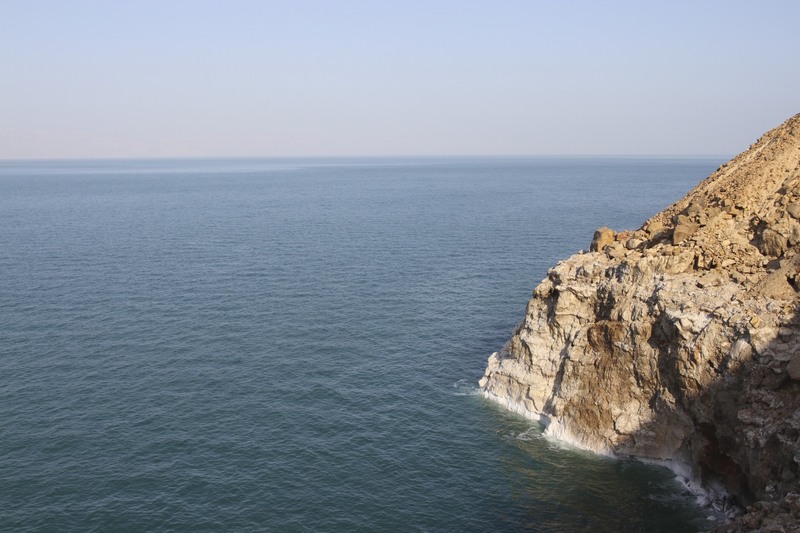 Water only leaves by evaporation, which accounts for the unusually high concentration of salts and minerals, and the haze over the water. 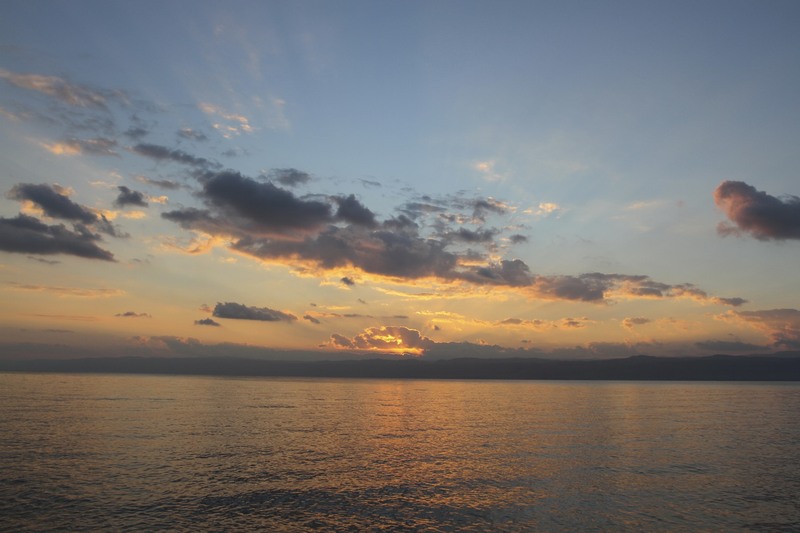 Ocean salinity is around 6 per cent, the Dead Sea is over 30 per cent. 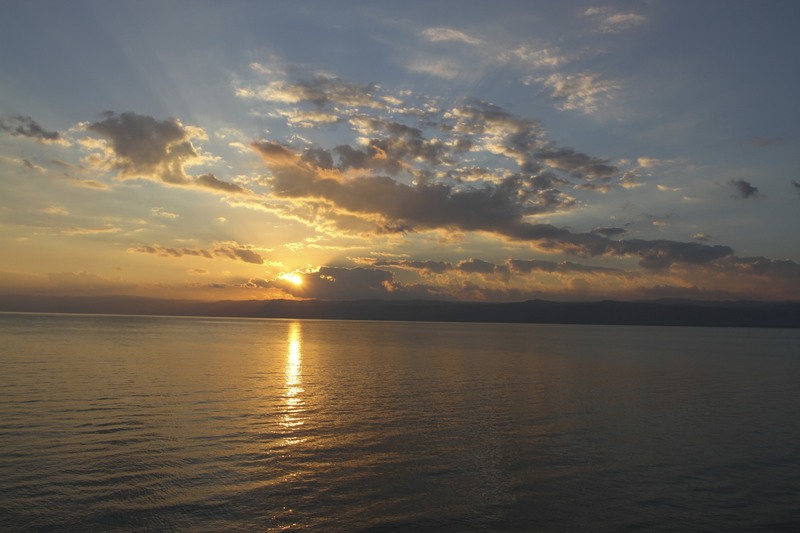 This hyper-saline lake, famous for photos of people floating while reading a paper and mud-based beauty treatments, sits in the centre of the Holy Land and there are reminders of that everywhere. 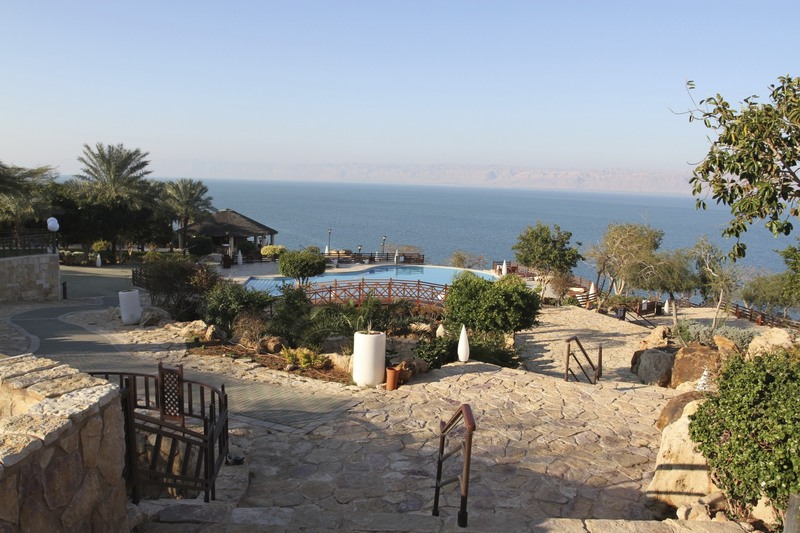 I was in Jordan for work so had little opportunity to take a float in the salty water or to explore the areas’ historical associations – home to more Jewish, Christian and Muslim religious sites than you can shake a stick at. None the less, standing by one of the world’s most iconic stretches of water is a stimulating experience, and I did manage to catch a spectacular sunset.